How many times have you seen a BuzzFeed article trying to push you to finally try a chemical peel the day before your wedding for “the best skin ever!! !” Though we’re sure it’ll come as quite a surprise, BuzzFeed should not be your pseudo dermatologist, and applying skin care treatments before your wedding is generally a pretty not-great idea. This is especially true if you’ve already visited Kiss N’ Makeup and we’ve decided upon a look for you. If your skin’s composition changes for some reason due to the procedure, the foundation and products we use on your skin might cause a different result, or worse, a reaction in your skin, and you’ll be noticeably not photo-ready. 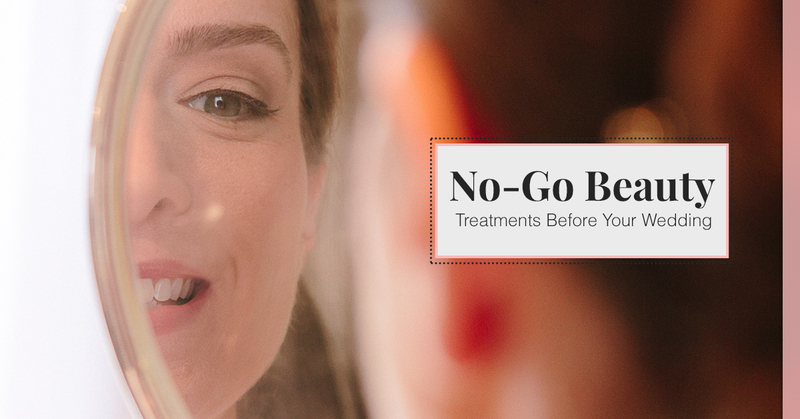 To avoid this potential wedding-makeup disaster and other wedding beauty foibles, we have a few tips on what beauty treatments you should avoid before your big day to ensure consistent, gorgeous results. That includes spray tan or real tanning session. If you’ve already chosen a photo-ready foundation and powder for your photos, you aren’t going to want to change the color composition of your skin now. Additionally, tanning creates extra dead skin cells and could cause peeling. If, for some reason, you’re able to do it early enough that your skin has time to recover from the peeling, it’ll take some time to get that natural, healthy glow back into the skin. You can always mention your desire to look a little sun-kissed on your big day, and we can find a gentle bronzer that won’t interrupt the rest of your wedding makeup design. Who knew, right? Big day teeth whitening will leave your teeth really sensitive, especially to cold liquid. If you’d rather enjoy your champagne instead of having it raise the hair on your arms, avoid the teeth whitening service to close to your wedding day. Schedule your whitening for a couple of weeks beforehand so that you’ll still have beautiful pearly whites but no gum sensitivity. Some folks think that a beauty transformation is a great idea when they think of dying their hair for their wedding, but we’d caution against it. The idea comes with quite a few risks, like consider if the color doesn’t come out in the shade you were hoping for. Granted, the tone will adjust, but that might not be for the better. Especially if you’re considering freshening your highlights, you might reconsider, as things happen and the color might change with a couple of washes. Color is such an important aspect of your wedding makeup and, by extension, your photos, that we suggest you might change your hair color quite a ways away from the wedding. We suggest two or three weeks prior to the big day. It’ll be safe to get your hair color changed up just in time for the photos and your wedding makeup service from Kiss N’ Makeup. Ready to get started on your beauty routine for your big day? 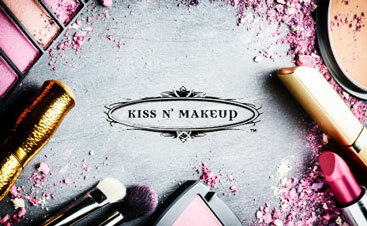 Visit Kiss N Makeup for your wedding makeup service. We’ll start by creating a wedding makeup initial appointment that will address your expectations and how we should approach the design and colors that you have in your wedding. Contact us to schedule your initial consultation now.